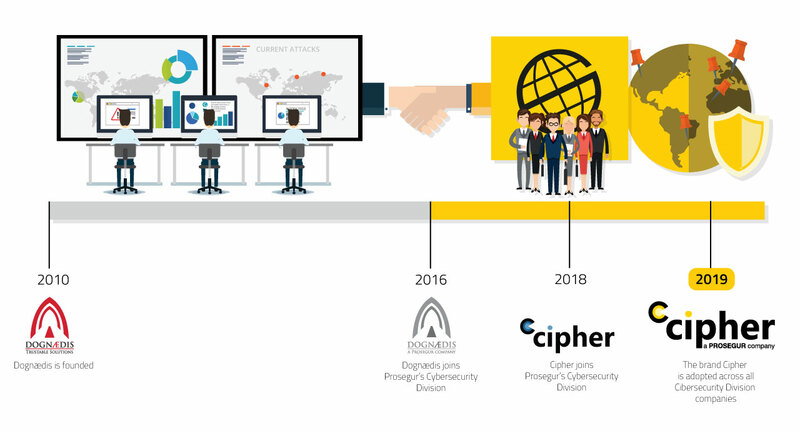 In 2019 Prosegur Cybersecurity division started converging to a single global brand for the cybersecurity field, with the determination to lead the cybersecurity industry. By bringing together the efforts and skills of Dognædis, Prosegur Cybersecurity and Cipher, while maintaining the focus on delivering the best quality driven services and keeping at the forefront of Information Security and Cybersecurity, we will be able to improve our delivery capability on a global scale! Over the next few months Dognædis will be transitioning into the global brand.